Hanging over my desk/craft table are my kiddos Ombre Hand Prints. I am still totally in love with how they turned out, but let’s face it… I can’t just keep making more and more of them, I would run out of wall space! 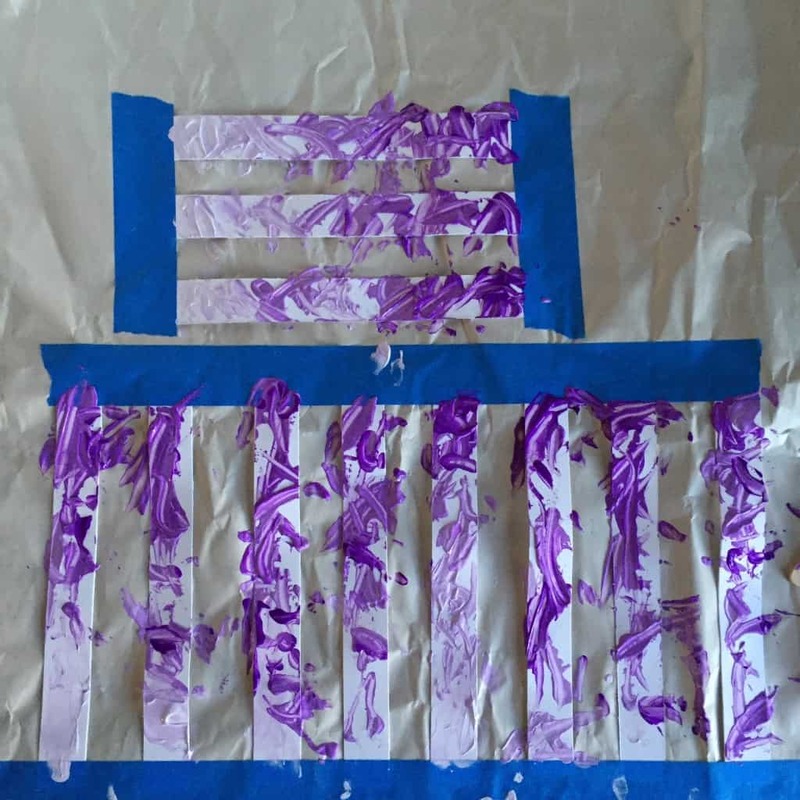 My daughter loves when I get out the paint so I decided it was time to simplify with this fast quick kids craft! 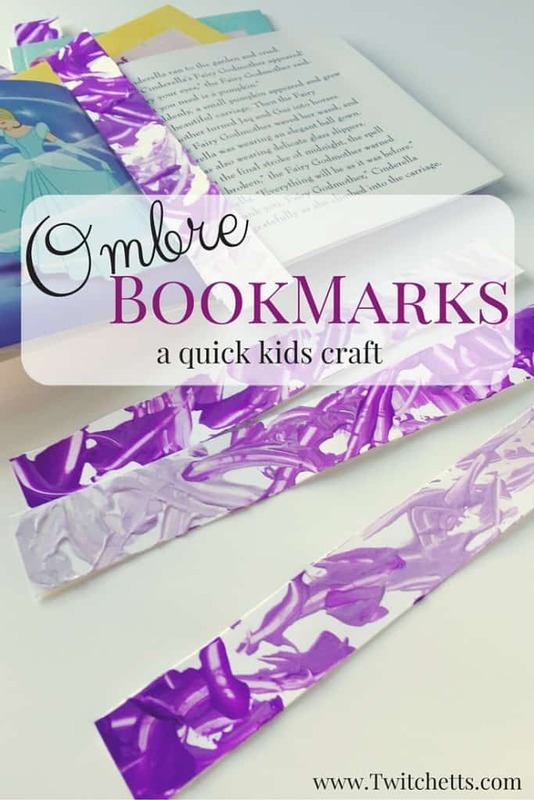 Ombre Bookmarks. 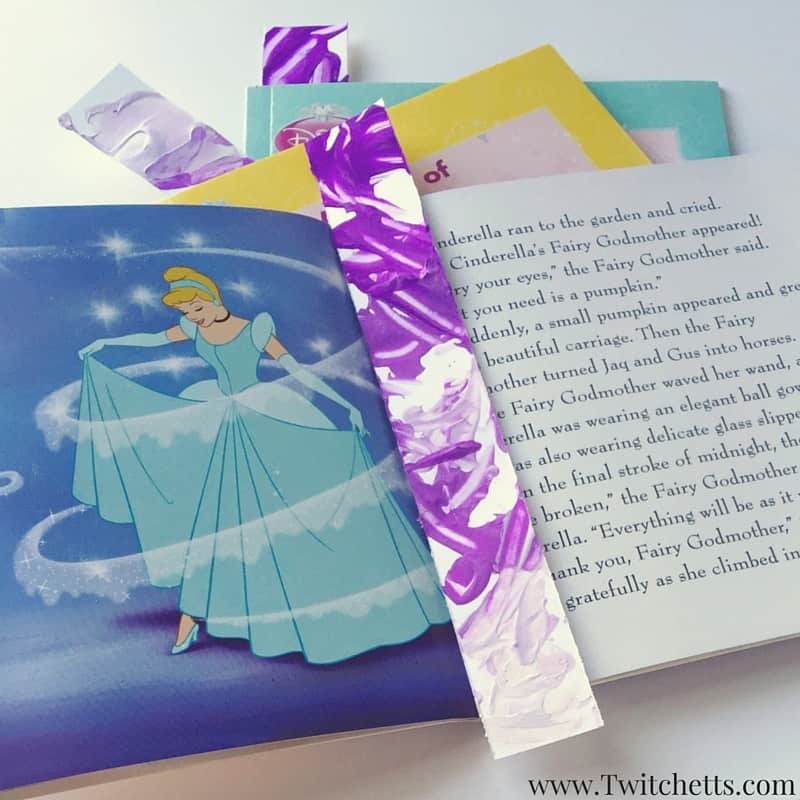 Supplies for this Quick Kids Craft are Simple! Optional: popsicle sticks and something small to fit in your child’s hand. Like an eraser or wine cork. 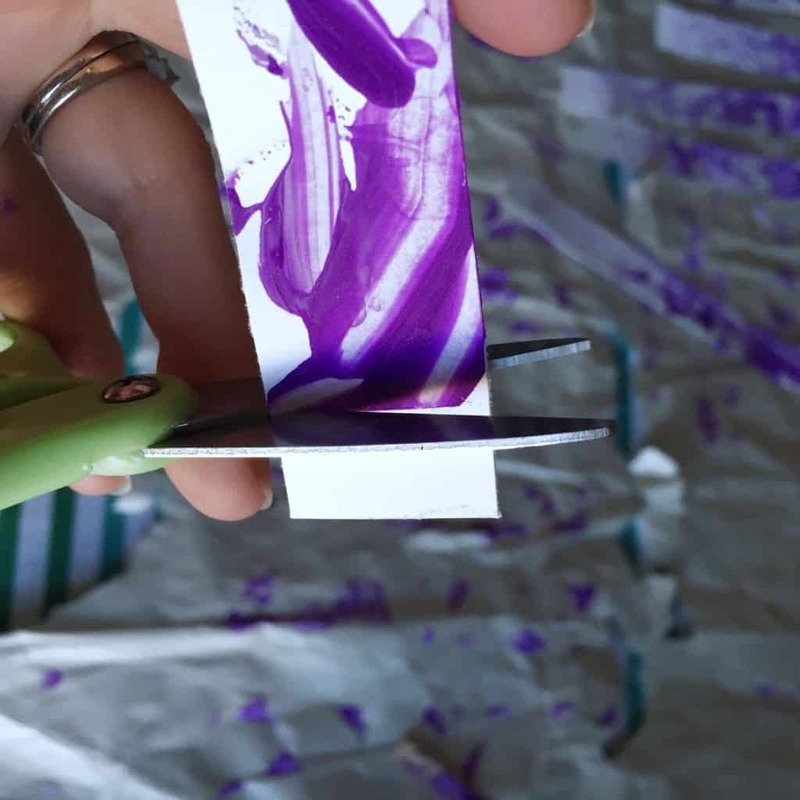 Cut one piece of paper into strips. 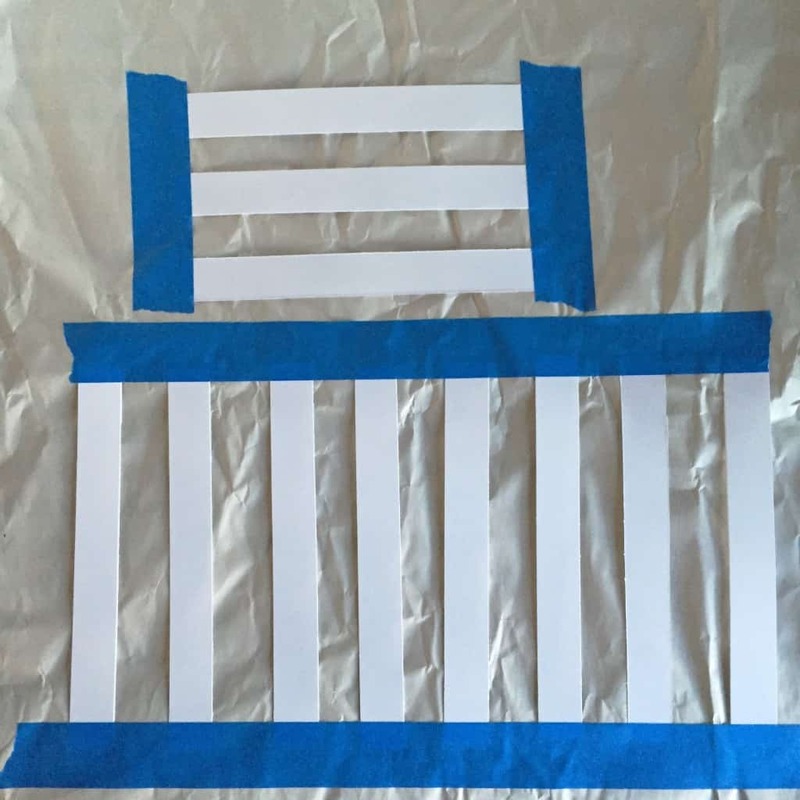 Tape them down to your covered painting surface. 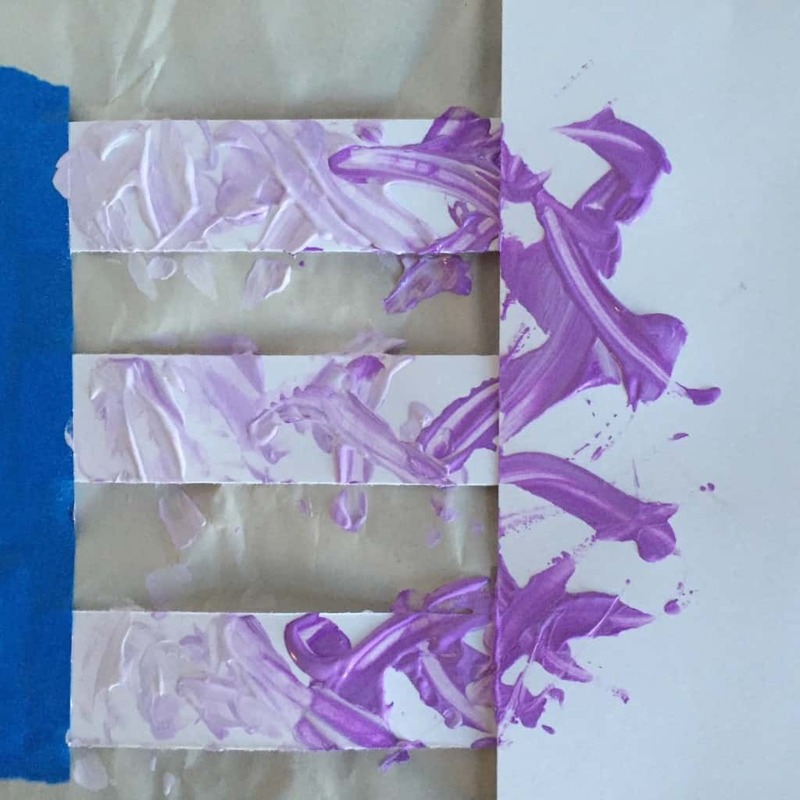 Start with All white on your paint pallet and slowly add in your second color. 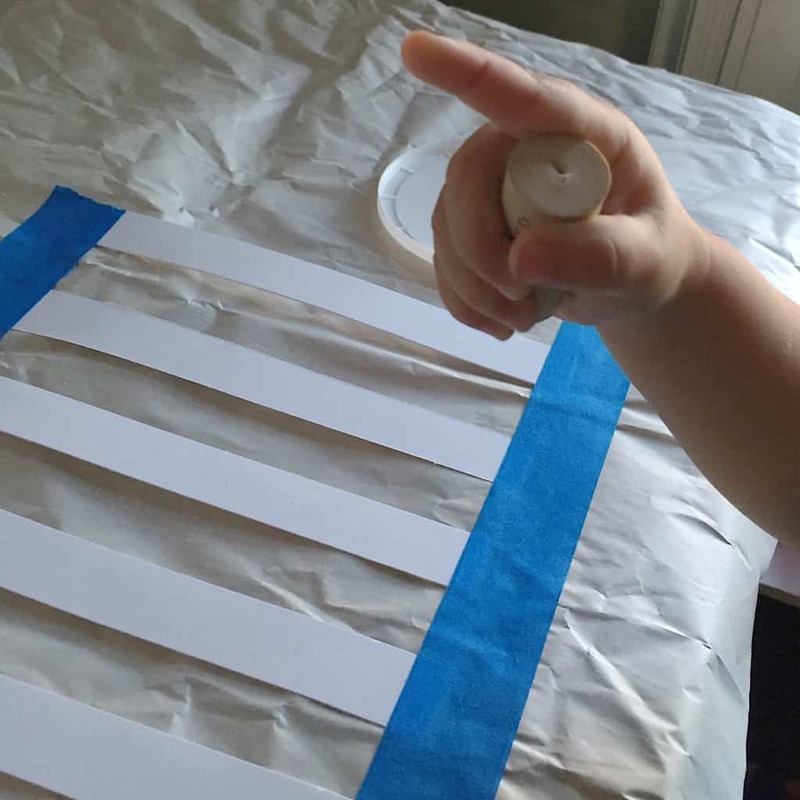 Now if you want to let your kiddo do this with their fingers have them hold the object from above in their hand. V has a wine cork. This helps them use only one finger in the paint. This actually works pretty well… only V wanted to lick her fingers today so we ditched that idea…. 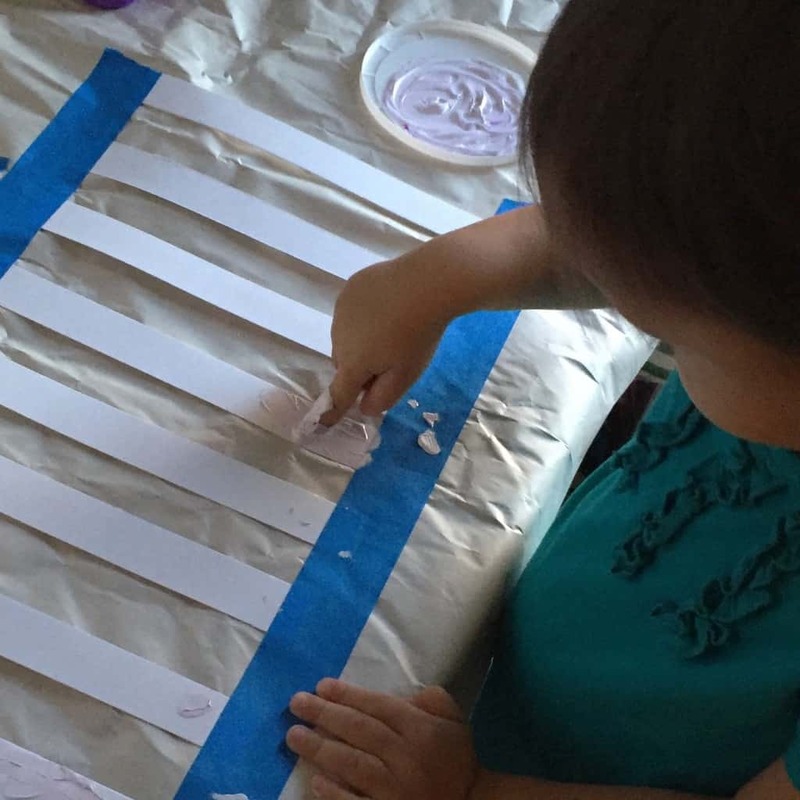 Second option is to let them paint with a popsicle stick. 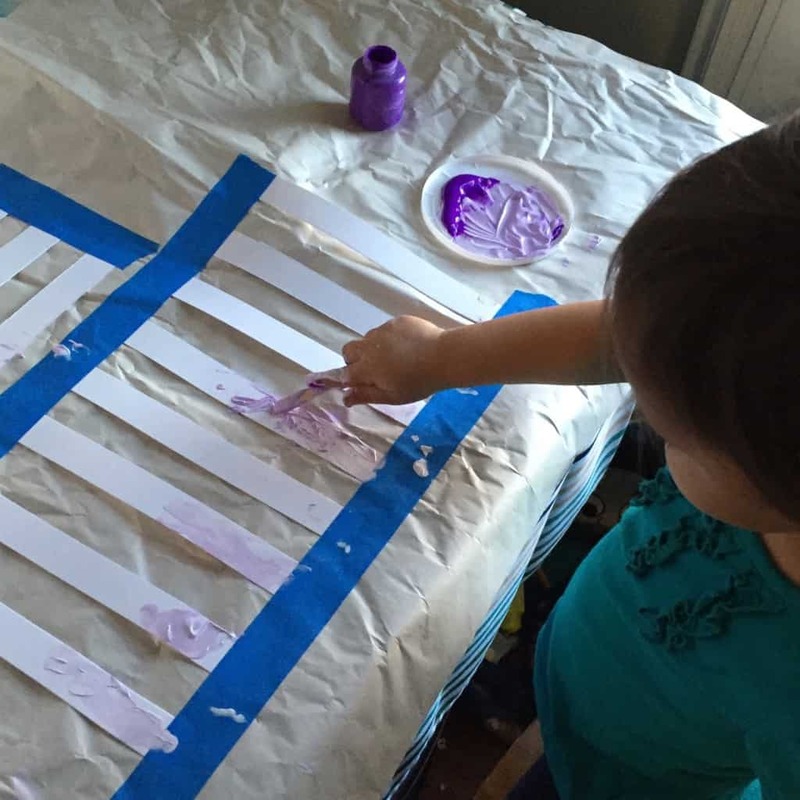 Using the stick makes it hard for them to blend all of the colors together, which helps keep the ombre effect going. I encouraged her to start on the bottom and work her way up and she did well on hers. The three that we had up on the top I used the second piece of card stock to cover the rest of the bookmark so that it would end up with a more gradient look. 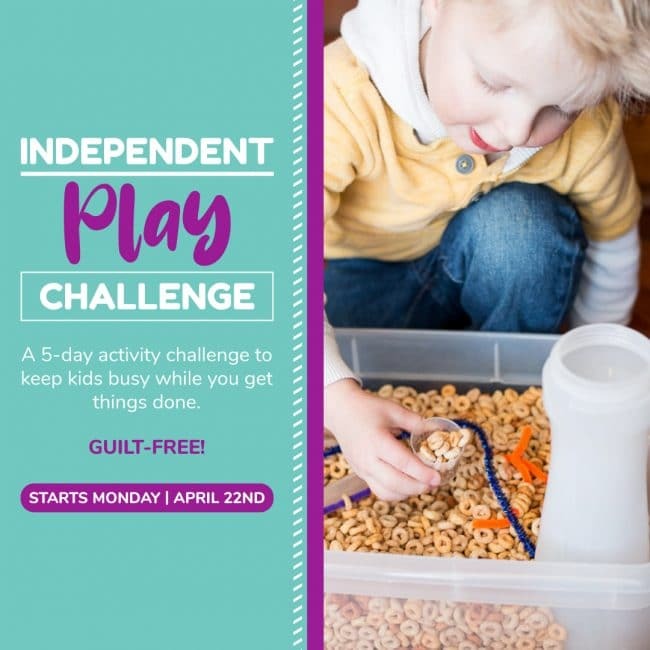 What color will your kiddo be making??? The wine cork idea is brilliant! And I’m pretty sure Little Miss will be making Pink while Mr Monster is loving Yellow. This post contains affiliate links. When you click on the link, a portion of the sales comes back to us. Thank you for being a supporter of Twitchetts!